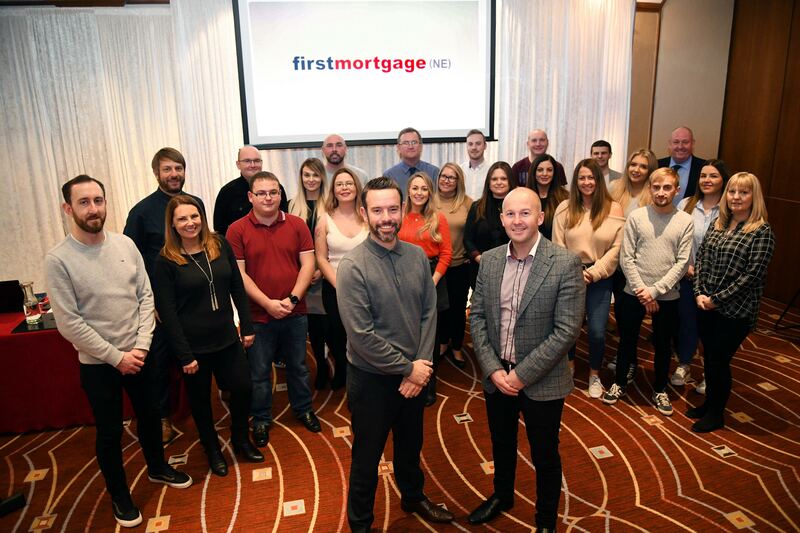 Here at First Mortgage NE, we’re gearing up for further growth this year after celebrating our most successful year to date in 2018! In time for the New Year, our Gateshead branch and headquarters has doubled in size as we’ve taken the neighbouring unit on Kensington Terrace in Dunston, making way for four new recruits. Plus, our branches in Gateshead, Newcastle, Sunderland and Chester le Street, were recently joined by four additional offices in Northumberland, Middlesbrough, Darlington and York, allowing us to move into new areas to offer convenience for clients who can request on site meetings or home visits. Our focus areas this year will be the new build sector and first time buyer market, seeing our director Philip transition his role to new build director to develop relationships with the region’s housebuilders. Since 2013, our directors Philip and Ben have opened four branches and created over 20 jobs in the North East. Philip said: “Almost six years ago Ben and I were working from one office with a shared ambition of being the company of choice in the North East mortgage arena. Now, we have a region-wide presence and the business has just had a record year completing over 2,000 mortgages in 2018. We’ve grown a strong workforce of people too and will be adding to our branch teams into the New Year, starting with our Gateshead HQ. “As we move into 2019, new build is an area of the business we will expand as part of our strategic development plans. This includes the first time buyer audience which made up over 50 percent of the UK market during the first half of 2018, so there is clear demand for our service which is completely fee-free to consumers. If you’d like to speak to our North East team give us a call on 0191 460 5926.